Here’s the mother of all excuses to beat every other creative excuse in the book in defense of drunk driving. 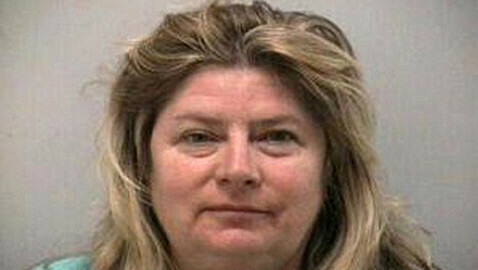 The cops in Jenson Beach pulled over Maureen Raymond last weekend for rash driving and crossing the double yellow lines. Suspecting that she was driving under the influence of alcohol, the police decided to put the red and glassy eyed Florida woman, smelling of alcohol, through a field sobriety test. Maureen resisted the test, explaining to the officers that she would not be able to pass the test (which obviously requires that you balance well) because she was heavy chested. No one was surprised when Maureen could not get through the test. But they were in for a shock, when instead of even trying to walk, Maureen broke into a dance. Maureen refused the chance to re-try the test, claiming her “huge boobies” would make it difficult for her to balance. She went on to prove her claims to the Sheriff’s deputy by trying to remove her clothes. That’s when the cops decided they had had enough and arrested her on charges of drunk driving. The police found a glass in the back of her car which they suspect contained alcohol. Obviously her huge breasts were not at fault for Maureen Raymond failing the sobriety test.